We're the digital TV service from the BBC and ITV. We'll entertain you with over 130 digital TV and radio channels, and treat you to free HD. There's no subscription and no monthly bills to pay. 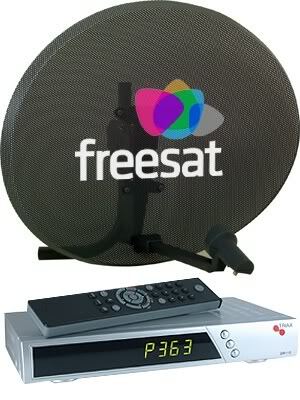 Freesat is a joint venture between the BBC and ITV. The service provides a number of TV and radio channels that you can get without subscription. 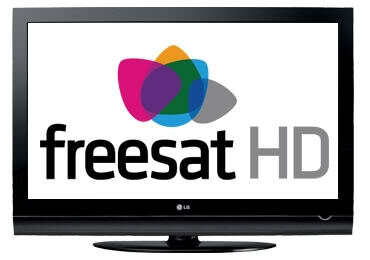 Separate from Sky's satellite TV offering, Freesat launched on the 6th May 2008, and offers over 130 TV channels. As well as a box, you'll need to have a satellite dish pointing in the general direction of the Astra satellite. Some High Definition content will be available, including the BBC and ITV HD service. Around 130 channels of TV and 30 radio stations, with no subscription. 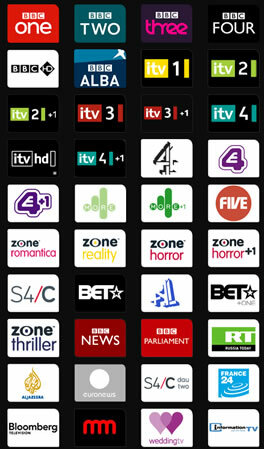 Channels include Channel 4, E4, More 4, Five, ITV2, ITV3, BBC3, BBC News, CBBC and CiTV. Other channels include Film 4, True Movies, Movies4Men, Euronews, Men & Motors, Wedding TV, Chart Show TV and Al-Jazeera. See the full channel list.